Chrispockster‘s scene of ancient Japan has a ton of interesting building techniques and cool minifigures to look at. I like the vines on the trees and the broken stone steps leading up to the torii gate. 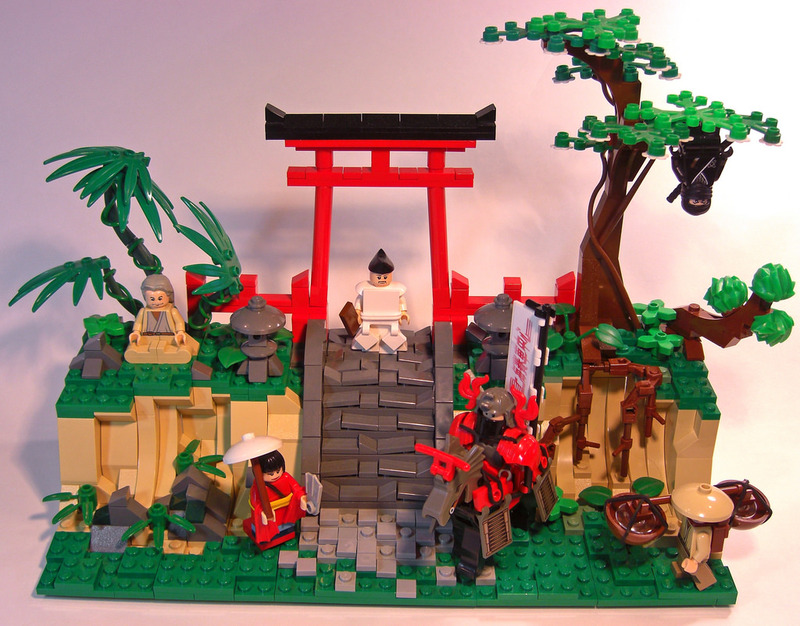 Nice job on the shinto gate, but the upside-down ninja did it for me! The water carrier and the flipper-as-fan! Nice, Theres a water carrier a geisha, A samurai, a preist, a ninja! and some old dude.